January 6, 2015 Ever watch those old black-and-white sci-fi classics with rockets that took off and landed vertically? SpaceX's Grasshopper rocket (video) demonstrated just such a talent, striking me in one of those moments where you realize we are living in the future we dreamed about as kids. The Grasshopper is impressive, but what SpaceX is trying to accomplish next is truly amazing. It plans on launching its Dragon space capsule into orbit to rendezvous with the International Space Station for another in series of successful resupply missions AND then land the booster back on Earth ... on a barge ... in the middle of the ocean. If that sounds difficult, that's because it is. SpaceX reckons its chances for a successful mission meeting all of its objectives (specifically the mid-ocean landing) are 50/50. 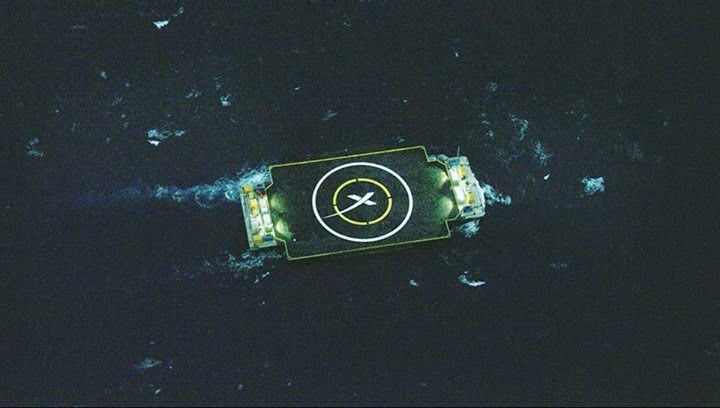 SpaceX refers to the landing barge as a "drone spaceport ship." If it can put a Falcon 9 down on it, it can probably put a rocket down on anything. SpaceX plans to land a rocket booster on this seafaring platform. But what if SpaceX can't? SpaceX has already revolutionized space transportation by slashing the costs of launch for clients, including NASA, and proving that space can be profitable. SpaceX also shows that technology has reached a point where dreams and reality have begun to merge. 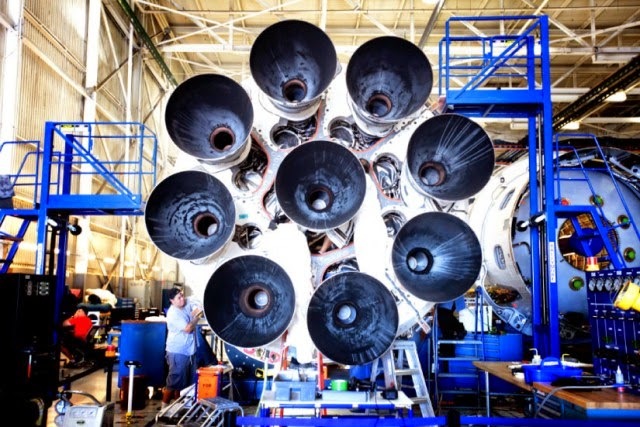 What does SpaceX's so-far success mean for makers and tech enthusiasts? There is a growing community of DIYaerospace makers working on everything from a rover-landing on the moon as part of Google's Lunar XPRIZE Challenge, to cube satellites (cubeSats), to even a group building their own full sized rockets -- Copenhagen Suborbitals. If you haven't heard of any of these, please do visit their websites and check out the progress they have made. Besides building your own rovers, satellites, or rockets, there are a lot of other opportunities to integrate the growing maker community worldwide with a collaborative, open source, R&D network working toward advancing spaceflight either as a business or as an interest. A lot of the work space organizations like NASA do is right here on Earth whether it is testing communications to Mars by having teams communicate with each other with a programmed delay of 10 minutes +, or building systems for space and testing them on Earth in simulators (pools, vacuum chambers, the desert, the Arctic, etc.). Despite the spectacular moments that define space travel like launches, landings, and main mission objectives, there are so many more mundane, but equally important details that must be worked out. An army of engineers, designers, technicians, artists, and other experts must work these details out before any mission can be undertaken. As this army builds our collective wealth of knowledge, so to are our capabilities among the stars built. For those that are following the above mentioned Lunar XPRIZE competition, they will already know that many of the facilities, tools, and networks developed by makers have become indispensable to these respective projects. Could an open source, distributed space program be on the horizon in the near future? At this point, it seems, all someone has to do is just do it. Does that mean this program will be putting people into space? No, probably not, but it would become a network helping accelerate research and development for the many very necessary, smaller details required to put people into space. SpaceX and other companies taking their first tentative steps into space where once only global superpowers had the resources and know-how to operate, is inspiration to us all who have dreamed of being involved in space travel and exploration. While we may not be able to build a rocket in our garage, we certainly could work out the equally important, more more accessible challenges still in front of us and our dreams of living among the stars. BIT Magazine is a bi-lingual platform for Thailand's maker movement to connect, grow, and collaborate with maker communities abroad. Follow us on Twitter here or on Facebook here.